We're familiar with vineyards, but having two 'wine caves' directly across the street from us is a new experience. We watched the sun rise and set on the fields. Saw dandelions pop up overnight to add a blanket of colour while labourers began early each morning to prune the stocks and methodically work their way through the rows. 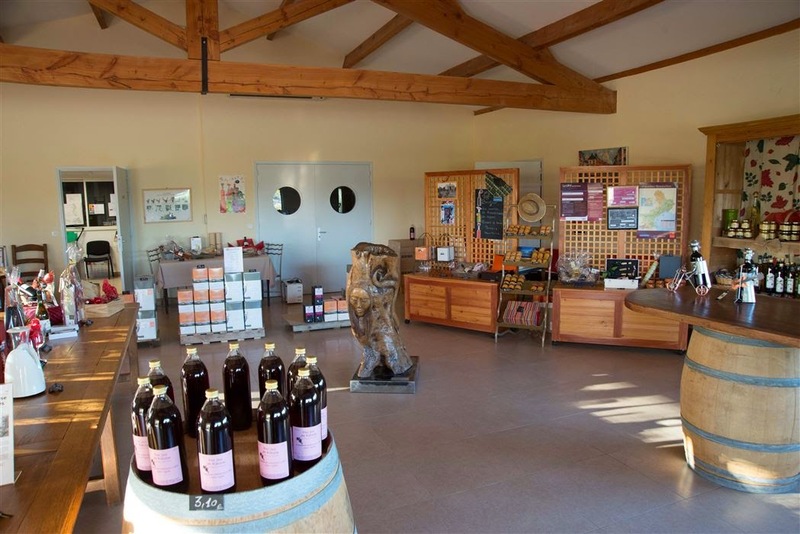 Domaine Massillan offers a great locally produced wine selection. Domaine Massillan also features a reception hall (large arched window below) that can be rented for birthdays, weddings, anniversaries, etc. The vineyards are also open to the public. We've noticed young parents pushing strollers, joggers, cyclists, and runners using the clay coloured trails and decided it was time to join them. We also toured the second wine cave Mas du Pont. Named I would imagine because of this bridge (pont) directly across from the parking lot. Like it's competitor Mas du Pont offers locally produced wine at reasonable prices. It also supplements its coffers via gite accommodation and a restaurant. Two great vineyards within yards of each other and we've been blessed to have experienced them both. Wine in France is a tradition and birthright and we couldn't agree more. There's something wonderful about enjoying a glass of wine with both lunch and dinner.